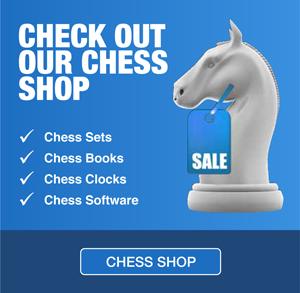 Sydney Academy of Chess offers a variety of chess-related services for schools. Our primary service is providing weekly chess lessons in schools – before and after school, at lunchtime, and during school hours as part of the curriculum. All of our services can be tailored to suit the needs of your school. These classes begin with an interactive lesson using a hanging demonstration board or an electronic chessboard (if the school has a smart board). Children are then given the opportunity to play games against each other, putting newly learned strategies into practice, and receive personal feedback from the teacher. As the term progresses and the children become proficient in all of the basics, the lessons will move on to more complex ideas such as opening traps, tactics, planning and calculating many moves ahead. At the end of each lesson, awards are given to children who display good problem solving skills or improvement during the lesson or in their games. As children accumulate more awards they become eligible to win bigger prizes such as trophies or certificates. Taught as part of the regular school curriculum, usually on a weekly basis, over several school terms. One of our coaches will visit your school for a full or half day, teaching one year group at a time. As students become more proficient in the basics, lessons will begin to incorporate more complex topics. Aimed at students with more advanced chess skills. Conducted by strong chess players, lessons are more individualised with handouts and homework designed to reinforce skills and ideas learned during the session. Run before school, in lunchtimes, or after school. The first half of each class consists of an interactive lecture from the chess coach. In the second half, students play games to put their newly learned strategies into practice. Parents are not permitted to sit in on lessons while classes are in progress.